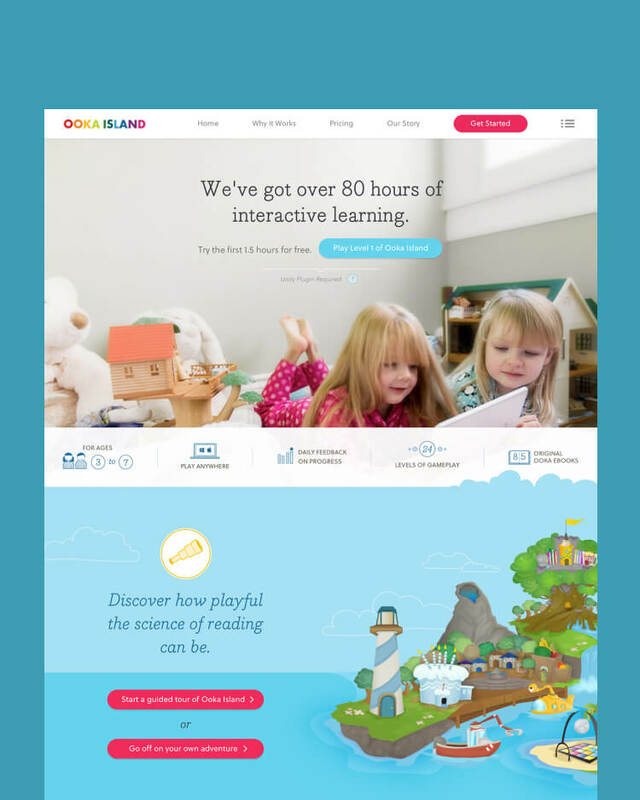 Ooka Island is an educational game designed to help children improve their reading and comprehension skills through science-based learning methods. 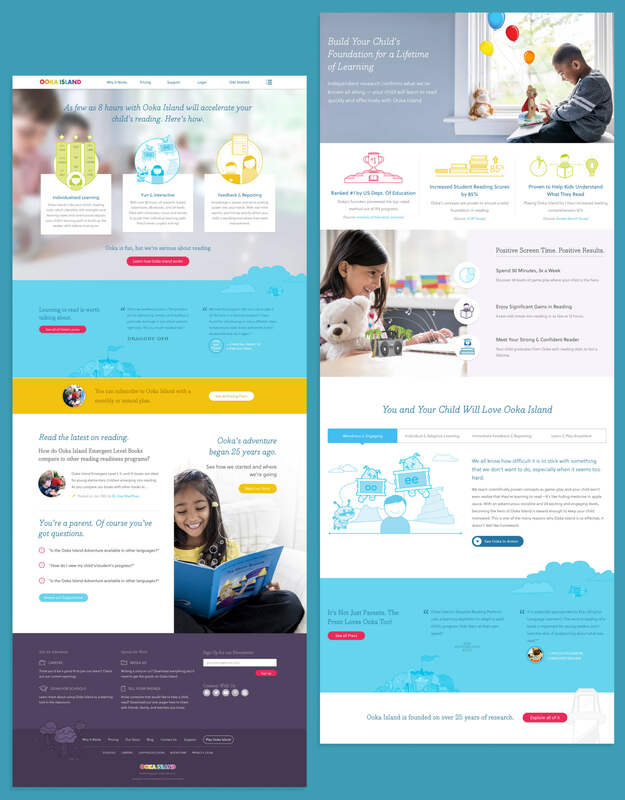 Filament was tasked with redesigning a marketing website for parents, promoting a product for kids. I was lead designer for this project, and had a hand in everything throughout the design process, from initial research to final QA. 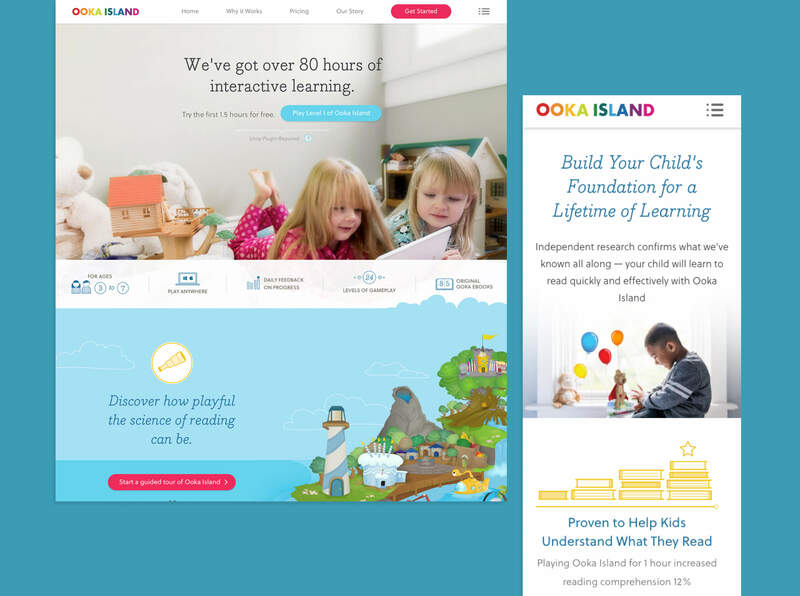 Ooka’s original site consisted of incredibly lengthy and repetitive content, with a sprawling site hierarchy, and was heavily lacking in visual consistency. Most detrimental of all for usability, the site wasn’t responsive and made use of some very confusing conventions for calls to action. Through our discovery and research phase, we identified our main goals that would help bring in more qualified leads, and to firmly establish the game as a contender within the modern educational gaming landscape. Simplify site architecture significantly for clarity and to negate redundancy. Pare content down to a length that's less overwhelming, and friendlier to busy parents. Rework UI to establish clearer and more actionable calls to action. 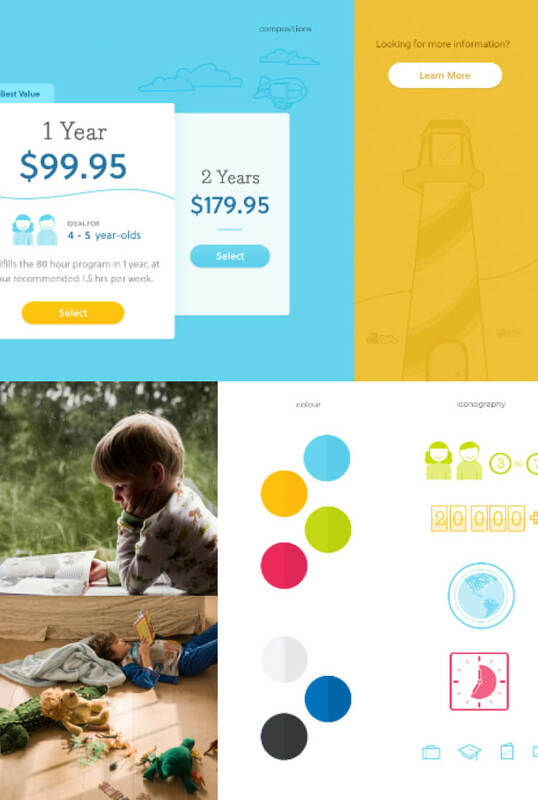 Refresh the overall visual design in a direction that Ooka's designers can run with going forward. 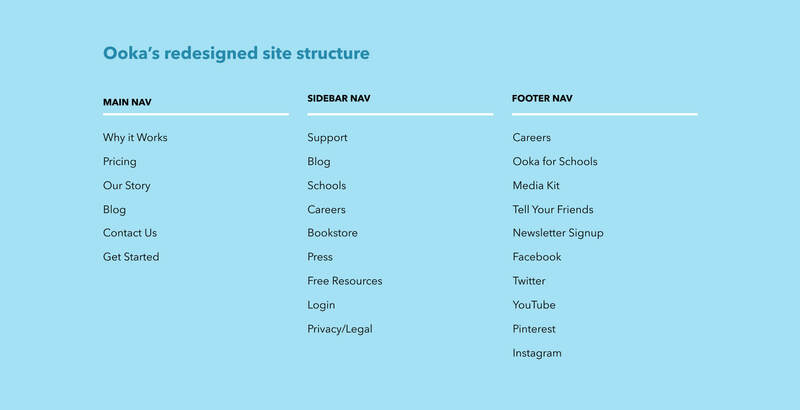 Simplifying Ooka's existing huge site architecture was directed by our content strategy process, which helped to identify the pages that were absolutely necessary. 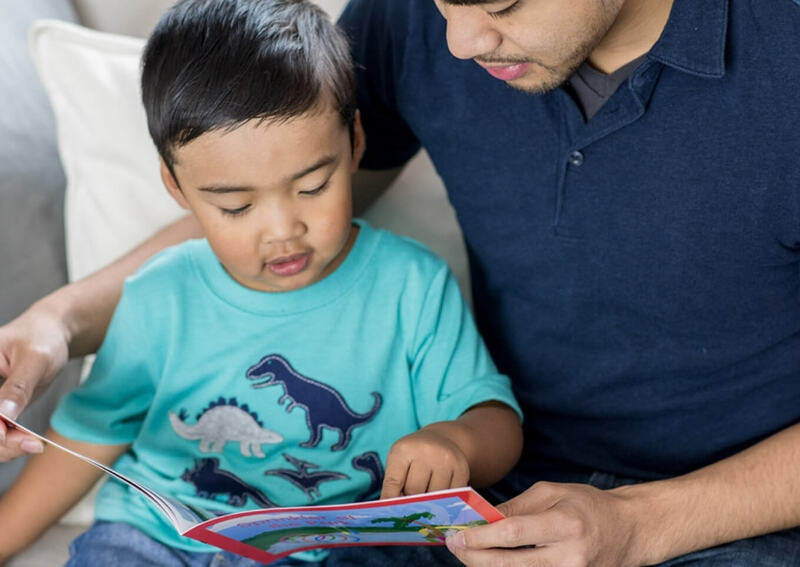 We pared down the number of pages significantly, so that, for instance, if a user wanted to know how Ooka works, they'd have one clear option to navigate to instead of six. 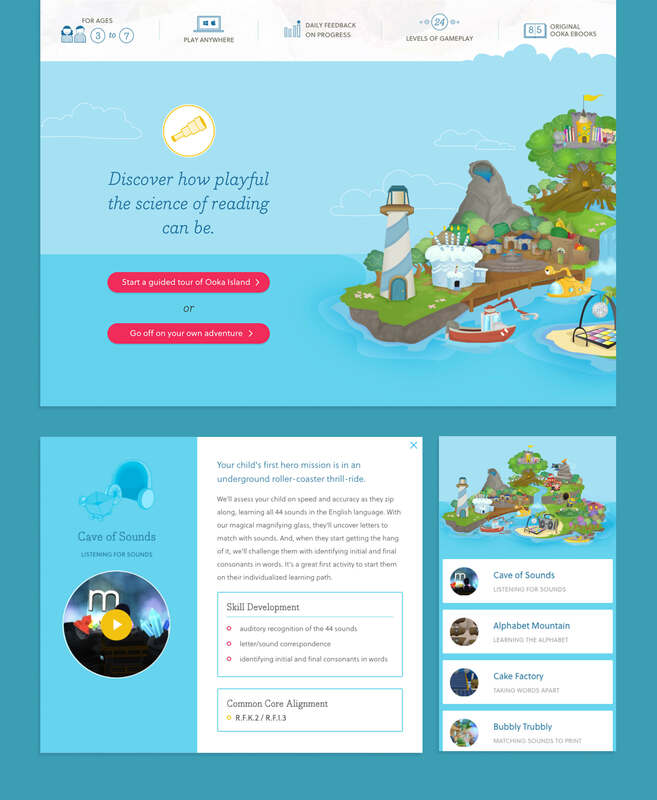 As one of the areas of focus for reworking the site's content, we needed a way for visitors to learn about the different activities included in the Ooka Island experience, and the details that differentiate them apart from the other reading and educational games available– without going overboard with pages of detailed research. 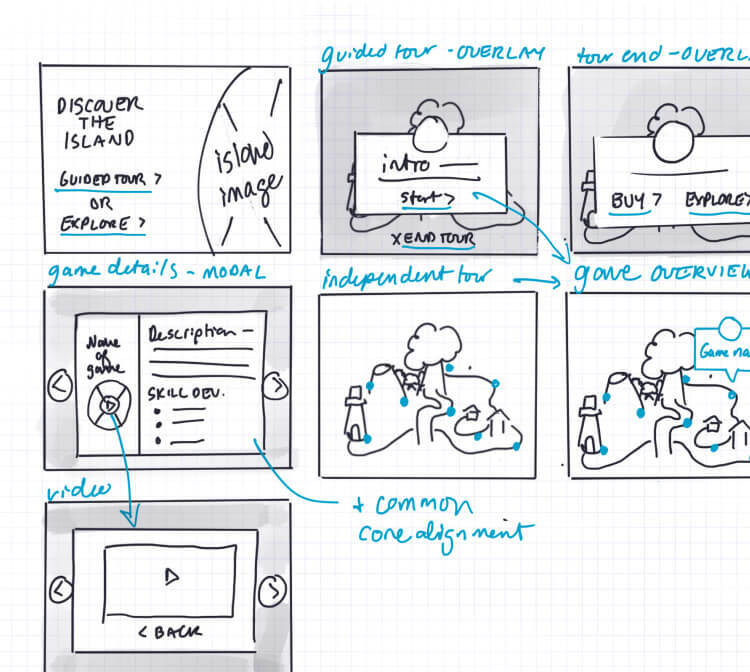 We developed a page for people to "tour" the island, either guided or independently, which provided game descriptions, skill development targeted by each game, and video clips of the game in action. 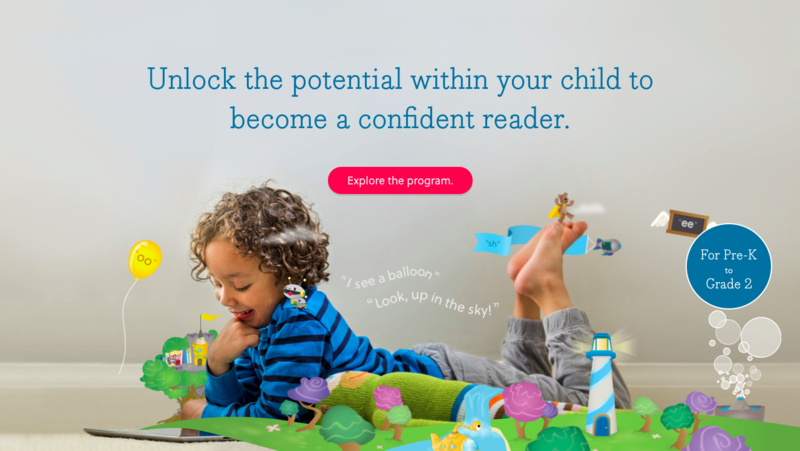 This provided an engaging way for users to have a solid overview of the foundational reading skills taught by each activity, and how each aligns to Common Core standards. The idea that influenced our approach to design the most was being able to to convey the same sense of surprise and delight that kids have while playing the game, translated to an older audience by way of interactive elements and animations. A unique challenge was that we needed to incorporate their existing illustrations which were currently being used in the game, their books, and their marketing materials. 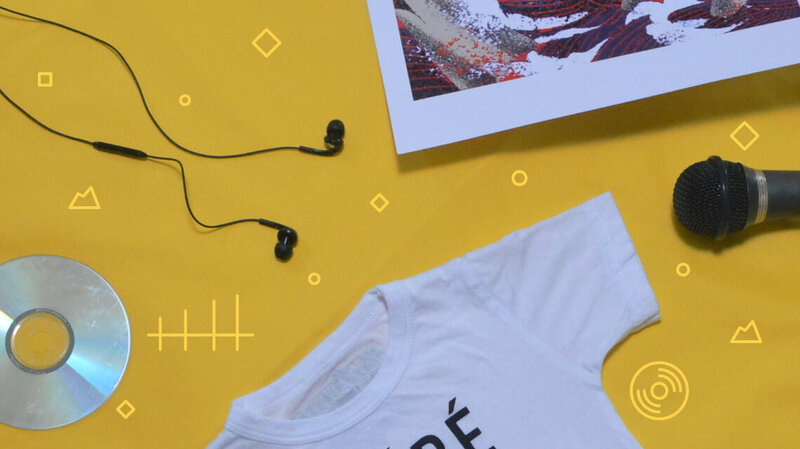 I developed an alternative illustrative style that complimented their existing assets and had a hand in helping to give an updated look and feel to the brand. We also developed custom illustrations to add contrast and help to visually convey concepts at a glance. We aimed for a simplified style that would be easy for Ooka's design team to replicate in future. Wanting to avoid having to shoehorn in stock photos (we've all been there, right? ), we had a handful of the team's friends and relatives to kindly volunteer their adorable kids for a day-long shoot with Kerry Shaw at the helm. We wanted the overall feel of the site to create an immediate and lasting positive impression. The photos couldn't have turned out better, and went a long way toward achieving that. It's great to see that the site is still going strong, with a few content changes and hierarchy changes for the better. The illustrative style has successfully been adapted by Ooka's designers, with new illustrations and icons that look great all around the site. The reason I'm so enthusiastic about this project is because it checked all of my boxes– I loved the opportunity to work on a project that was meant to be bright, lively, and full of delight, and to help promote a product designed to help kids at an early age put their best foot forward on their educational journey.